This entry was posted on 29 November, 2015 at 14:30 and is filed under ABBA, History. You can follow any responses to this entry through the RSS 2.0 feed. You can leave a response, or trackback from your own site. I get that’s it ‘s sort of obsolete, but why hasn’t the Australian Best of reissued since 1988? I can think of several reasons. 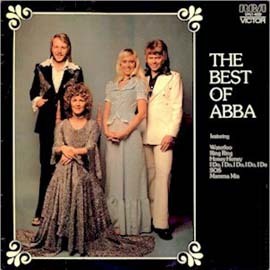 RCA no longer had the rights to ABBA, but they owned that particular compilation. It only covers a short period of ABBA’s history (the same as Greatest Hits Vol. 2, which has been out of print since the late 80s or early 90s). And of course it’s been superseded by ABBA Gold, The Definitive Collection, and dozens of other compilations.